Marketing to women poses challenges but the opportunities are more than worth the effort. Why? Just look at the size of the market! Marketing to a female demographic is filled with potential. Women are the largest and most influential audience that your business can market to. Women drive 70-80% of all consumer purchasing, as this Forbes article points out. Women are the dominant influencers and shoppers in the market holding trillions of dollars in purchasing power and assets. 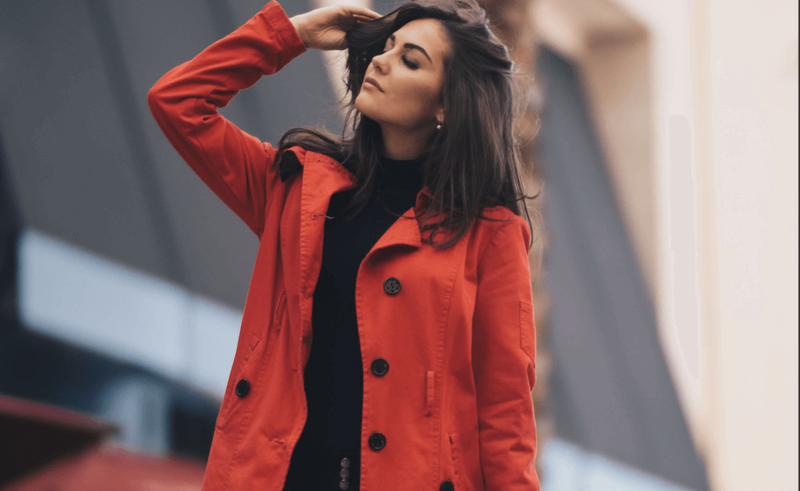 This power and influence makes women the likely target of many of your marketing campaigns, even if you don’t realize it. However, marketing to women has several challenges. Tailoring your marketing to a female demographic isn’t easy. The consumer group of “women” isn’t one large group of individuals with the same characteristics. Women are a diverse, dynamic, and complex group. First, there is the sheer age range. (How many women in different age groups), then you have the wide range of ethnic backgrounds (get stats for this). The myriad of roles women play in their business and personal lives — mother, employee, business owner, volunteer, caregiver — add to the complexity of reaching women with any single marketing message or offer. And we haven’t even talked about their personal hobbies and interests! Consider also how men and women think differently. For example, men are less influenced by the presence of a logo than women are. So, when you’re asking the question “How do you market to women?” you’re raising a lot more questions than you bargained for. Luckily, we have some answers for how best to market to the female demographic. Most small business owners are so focused on selling to everyone, that they often ignore basic questions that can make a huge impact on sales. The issue is that they often don’t know that much about their customers. So, the first place to start is with a few simple questions about marketing to a female demographic. Then answer them. How many customers do you have where a woman is the primary decision maker? The first thing you have to do is collect data on who is buying from you and who is making the decisions. If you have a CRM, email list, CRM reports, and invoices, go in and count the women who were the decision maker. If you run more of a retail or ecommerce business, see if you can pull credit card records and see what you can tell from those. If you have a brick and mortar business, you can rely on your own observation or even count the number of female customers compared to male and do that for a week or two. The reason you do this is because we often make assumptions but when we look at the data, it turns out to be a little different than we remembered. Is your marketing message targeting a female demographic? Target your advertising toward women by using pictures of women. Edit your marketing materials to include women in pronouns, colors, language and images. Adjust your sales messages to better reflect problems that you solve for women. What features of your product or service appeal most to women? It’s easy to see features as unisex. Women often see features differently from men. B2B Example: Women tend to appreciate and focus on services and not just hard features. Take an office printer. While your male customers may be more focused on how many pages per minute, your female customers care more about the ink refill or repair service you offer. B2C Example: Women are more nuanced. They are looking for specific ways that your product or service solves in language that reflects her life experiences. By contrast, when you’re marketing to men, you would emphasize what a thing does and what it will do for me. What can you change, today, to appeal to women customers? Add more light but not ugly fluorescent. Clean your restrooms — especially in a restaurant. Add categories to your ecommerce store specific to women. If you run a handmade western boot store online, include a section for “women’s western boots”. If you sell business services, be sure to have testimonials from women customers. What do women like about your product or service today? Can you build on that? Do an online survey using a survey tool. Just be sure to ask whether they are male or female. If you have an active Facebook community, post some questions there. Or, simply engage the women who come to your brick and mortar store. Don’t be afraid to chat with them and ask questions. These 5 questions should help you focus on how to market to women. If you are serious about reaching the female demographic, the following books can help. They provide insight into strategies and insight from experts who have successfully marketed to women. 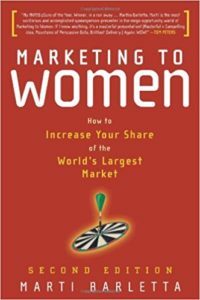 Our first book takes a rather broad look at marketing to women with “How to Increase Your Share of the World’s Largest Market” by Marti Barletta. In this book, Marti Barletta helps readers understand the power and the key unique characteristics of marketing to women. Barletta then provides a marketing framework to help readers assess and improve their marketing focused on female consumers. Of particular note, is what the author calls the marketing “Marketers Golden Bull’s Eye”, the marketing category of women aged 50 and up who will control and inherit the largest transfer of wealth in history. Barletta urges readers to get ahead of this unique time in history take advantage with smart, multi-dimensional marketing. Her book provides a roadmap for marking that happen. 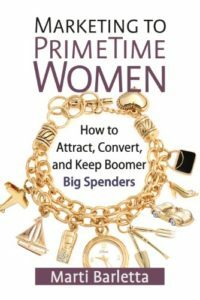 Continuing the theme of targeting the wealthiest and most influential group of women in history, Marti Barletta (who also wrote “Marketing to Women”) shines a spotlight on how to market to the “Golden Purse”, women born during the Baby Boomer generation will inherit an unprecedented amount of power. As Barletta points out, the uniqueness of women born in the Baby Generation isn’t just the money. Female Baby Boomers are socially, politically, and physically active in ways that their ancestors have never dreamed of. Some are retiring, others are launching second careers. They are making decisions that shape our economy. This new world overturns the traditional stereotype of the 50 or 60-year old, presenting a different challenge for marketers focusing on older-aged women. If you are looking to reach out to women 50 years and older, this book provides tools and strategies to help business owners tap into the “Golden Purse” market and build a relationship with one of the most economically powerful groups of women in history. Marketing strategies and tactics are important, but marketers must understand something more important first, their customer’s mindset. In “Why She Buys: The New Strategy for Reaching the World’s Most Powerful Consumers”, Bridget Brennan shares her insight, market research, and experience as CEO of a market research and sales training agency focused on helping businesses understand women. Bridget takes a globally comprehensive view in response to the question, “Why did she buy that/” As Bridget shares, gender is often an afterthought when we consider what consumers buy. Because many businesses make this mistakes, they often miss the mark when trying to reach out to their female consumers. Bridget hopes to fix that problem. 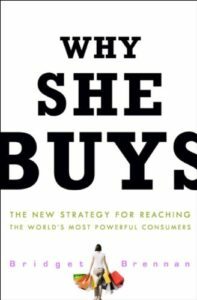 In “Why She Buys” starts from discussion about differences between men and women and how that affects the buying process to a look at the global trends that are shaping how businesses interact with women. A lot of the activities in marketing are based on what customers tell you. 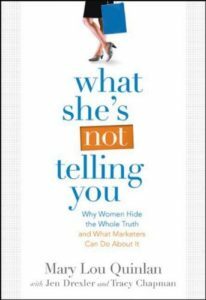 In What She’s Not Telling You: Why Women Hide the Whole Truth and What Marketers Can Do About It, author Mary Lou Quinlan (known as the “Oprah of Wall Street”) focuses on what your female customers don’t tell you. “What She’s Not Telling You” hopes to help business owners identify and confront those “half-truths”. Mary Lou explores what motivates women to tell “half-truths” and provides strategies for business to reach what Mary Lou Quinlan calls ” Whole Truth” marketing. 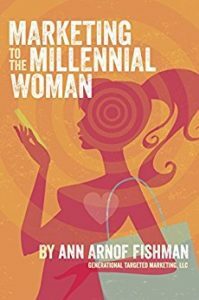 In the first few books on this list, we covered marketing to women from the Baby Boomer generation and the potential impact they can have on the world. It’s time to focus on another history-making generation of women, Millennials. Millennials, born between 1982 and 1999, present an entirely different marketing challenge than Baby Boomers. They will be the largest generation the United States has ever had.While their large numbers make them a promising marketing target, their contradictions makes them hard to figure out. Caught between two generations, Millennial embody a reality that strongly accepts entrepreneurship, financial stability, and family-life balance as viable goals all at the same time. It’s a world of side hustles, FOMO (fear of missing out, and selfies. Ideal for: Businesses targeting Millennials and need a basic foundation for understanding the “How do I market to Millennials?” question. “Women Want More” starts off with a general look at the role of women in economy. The book then looks at women’s needs and interests within categories. This is important because many marketers often forget that women’s interests are more nuanced than they expect. Understanding this nuance within your product or service’s category is the key to helping your brand stand out. It isn’t enough for a brand to find and target women that might be a good fit for your business. Your business must connect with a particular group (or groups) of women. From there, your business needs to position your business’ unique product or service within a category that fulfills a need for women. That is how your business provides more. 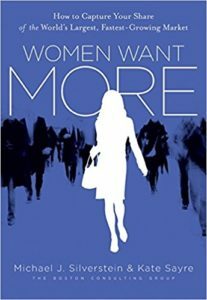 As the book points out…women want more. It’s only natural to consider the opposing view in this conversation about marketing and women. For that we turn to “Why Marketing to Women Doesn’t Work”, which argues that marketing focused on gender does not work. Instead, marketing focusing on the behavior, gets results. While the book doesn’t discount the differences between men and women, the book argues that these differences aren’t as simple as they might appear. Marketing to women isn’t as easy as changing a product’s color or label. It involves a more detailed understanding of how and why your customers behave. It’s about leveraging psychology, instead of just demographics. 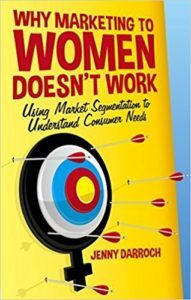 :Why Marketing to Doesn’t Work” explores why businesses have so often failed in the past when they tried to market solely based on simple demographics, like gender. It offers tools to help your business understand their customer and develop a stronger (and more informed) marketing strategy. As many of the books on this list point out, many businesses have failed when it comes to marketing to women. They targeted the category, not the needs and wants of women who would be a great fit for their brand. In this already-crowded, global marketplace, your business can’t make that same mistake. If your business wants to reach the larger and incredibly powerful group of consumers known as women, your business will need a better understanding of the women who use (or could use) your business’ unique product or service. The books in this list should help your business take the first steps to marketing smarter to women. 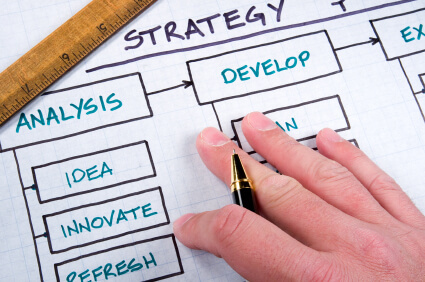 Take a look and use these books to create a marketing strategy. Marketing to a female demographic doesn’t have to be hard. All you have to do is take the first steps to meeting the needs of this influential market.